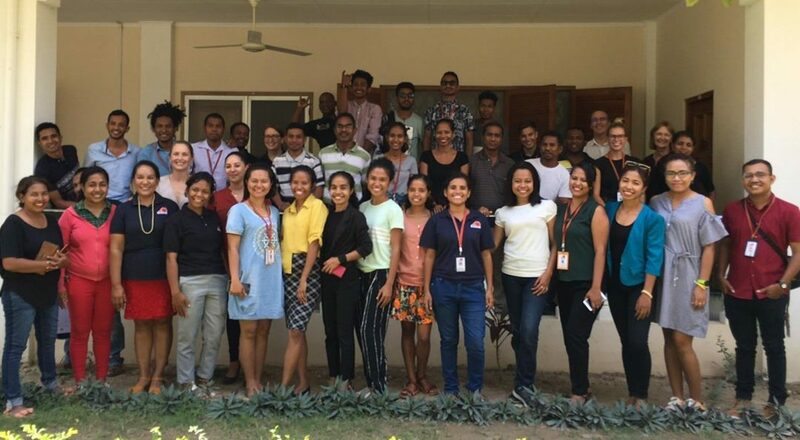 One year ago, Maluk Timor launched with 2 ½ programs and 17 staff, low on resources but with high hopes. Twelve months on we find that we’ve flourished, growing into 9 programs with 50 staff. It’s been quite a ride, and we’re so glad you’ve stayed with us. The meeting begins in ‘JOAN’S’ training room. 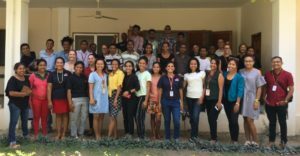 We now have more than a dozen international staff living in Dili: ten doctors, two nurses and a management mentor. None of these people are receiving a salary, and they’ve given up a lot to join us. Some will stay only months, others up to several years. 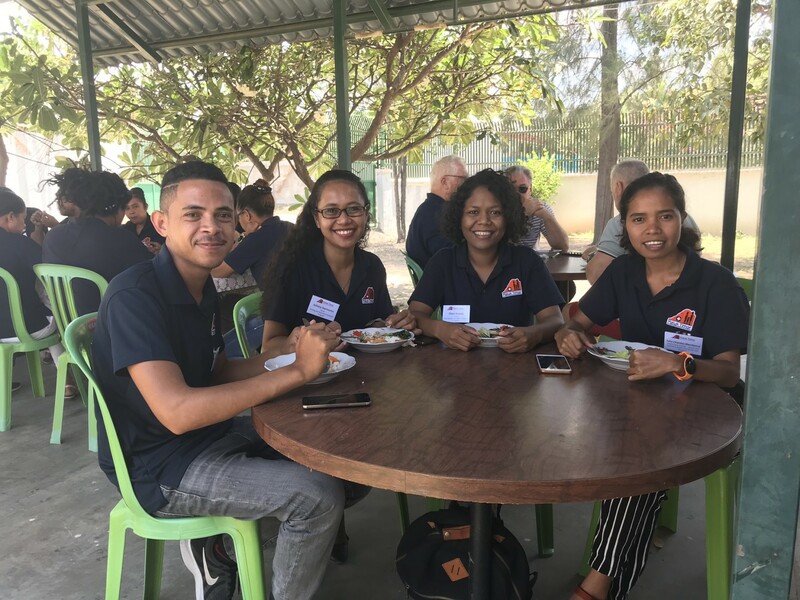 They work side by side with our 37 Timorese staff, mentoring and supervising them, developing them as the future leaders of health in Timor-Leste. Our Timorese staff are themselves becoming mentors and trainers. 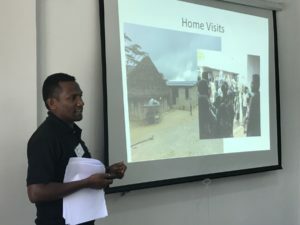 They work shoulder-to-shoulder with their counterparts in government clinics and services, seeking to raise the quality and reach of those services through encouragement, support, and peer-to-peer learning. It’s a model that enables the local staff to find local solutions to their problems, and the problems are many. Anary talking about the RHD – all the kids love him ! Timor-Leste is still in the grip of diseases that don’t even touch our lives in Australia and abroad. Tuberculosis remains the number one killer across Timor-Leste. Children still die in vast numbers from preventable and treatable conditions like pneumonia, diarrhoea and malnutrition. 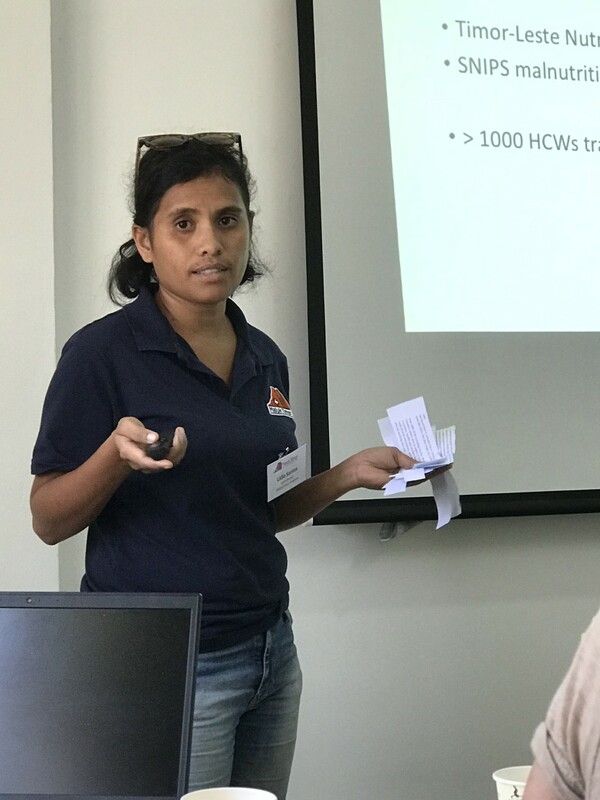 On average, every classroom of Timorese children includes a child suffering from rheumatic heart disease that may kill her before she reaches adulthood. This is also preventable and treatable. 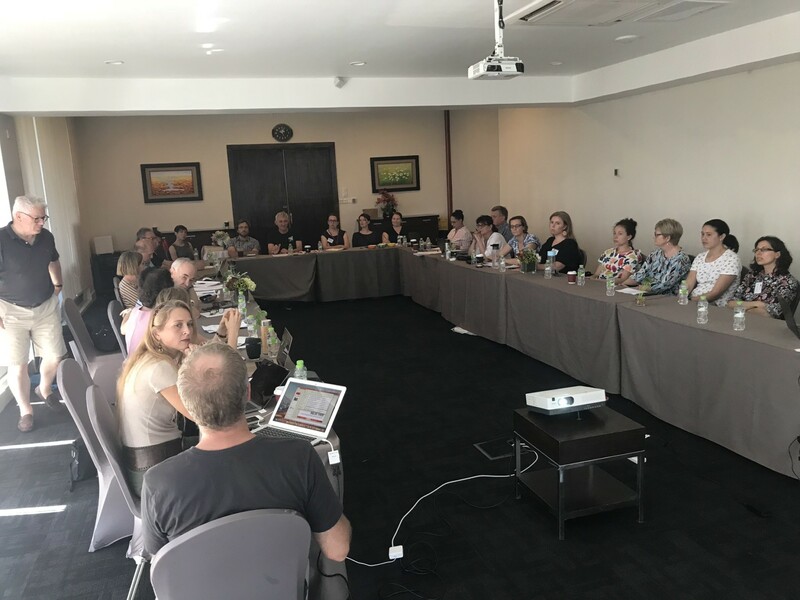 This small country is just 450km from Australia yet it might as well be on another planet, or a throwback to a different century, so different are the health outcomes. Happy faces eating healthy food and learning and sharing lots. Yet we are not discouraged. 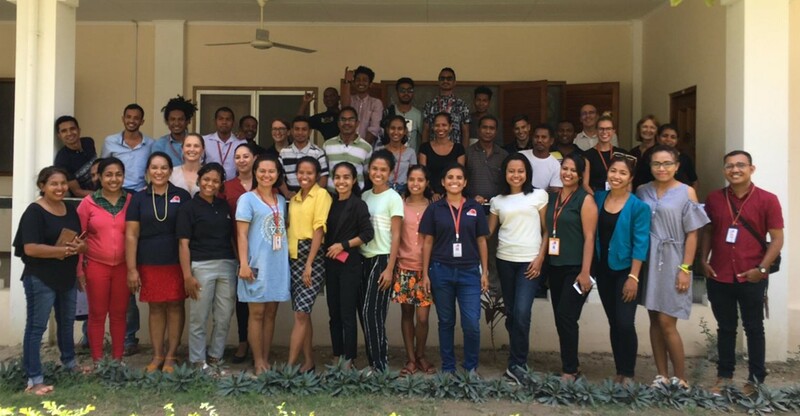 We see in our team an unquenchable thirst to advance quality health care in Timor-Leste, and to put an end to the preventable deaths that still cripple this fledgling nation. We also see fertile ground, with a Timorese government that invites our help, and many partners around us willing to cooperate. The time to make a difference is now. We’ve come a long way in one year, and we’re tremendously proud of our team. 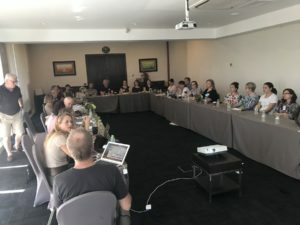 Yet this team is literally the tip of the iceberg, as Maluk Timor is really a much greater network of committed contributors – clinicians, volunteers, supporters and donors – who come together with a common purpose and a common love of Timor-Leste. After all, that is what the word ‘maluk’ (MAH-look) really means. When a Timorese person speaks of their ‘maluk’ they are referring to their closest family and friends, their kin. To be described as someone’s ‘maluk’ means being invited into their trust, and into their family. 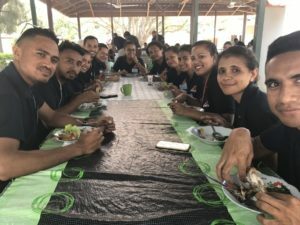 Our team sees the people of Timor-Leste as our ‘maluk’ – they are a people we have come to love and value, and it is our privilege to serve them sacrificially, any way that we can. In turn, as we prove our worth as trusted friends, we may be fortunate enough to be called their ‘maluk’. A room full of volunteers working on advancing quality health care together. 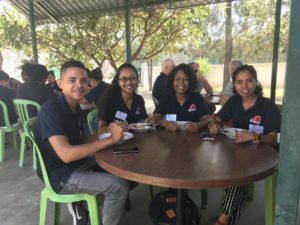 It is this sense of kinship that connects us with the Timorese people and with each other. It drives our organisation, which is built on a commitment to volunteer service and partnership. 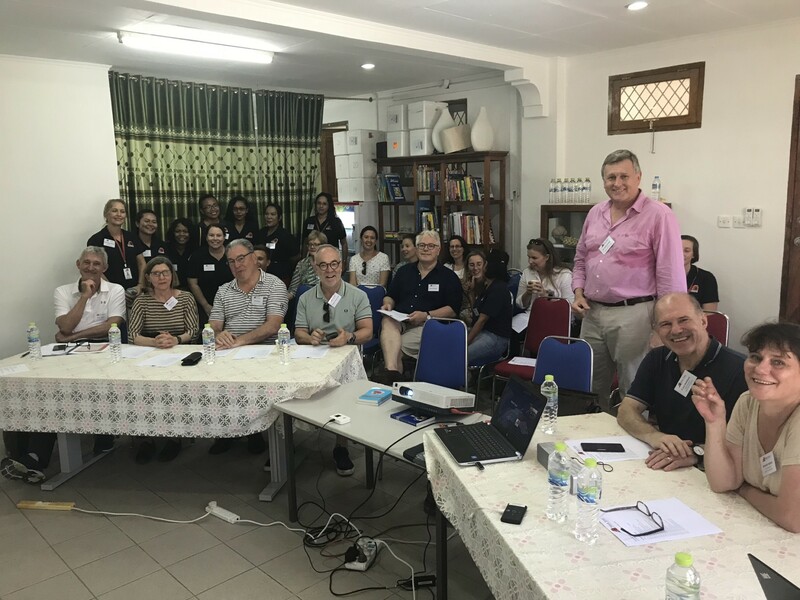 Our hope is that together we can advance quality health care in Timor-Leste, putting an end to the many needless and preventable deaths, and promoting long and healthy lives.